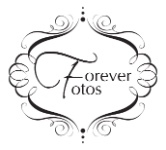 My experience with Forever Fotos was a wonderful time. It was so laid back. Not only is Melinda a neighbor to us, she is a great person. Kinley really enjoyed her 2 hours of fame. Everything went very smooth. I would recommend her to anyone." "A big thank you for the wonderful portraits and experience. You captured special and unforgettable moments! Thank you for your incredible talent and creativity. We not only enjoyed our session but your company as well. Thank you!!" Melinda was great to work with. We had a lot of fun, on my daughters senior photo shoot. She really cares about her clients and what they want from their photos. I have used Forever Fotos twice now for family pictures and senior pictures. We have had amazing experiences both times and ended up with so many great photos. I have never felt rushed or that our opinions didn't matter. We will definitely be back in the future! We absolutely loved Taylor's senior pictures! We enjoyed working with Melinda. She was a lot of fun, but yet very professional. Taylor was concerned with how she would pose, but there was no need to be concerned because Melinda had wonderful ideas and made Taylor feel comfortable. Thank you Melinda for making this a wonderful experience! !